The European Commission is expected to recommend the launch of negotiations for the accession of Albania and North Macedonia in May. This was declared yesterday by EU Enlargement Commissioner, Johannes Hahn during the proceedings of the European Parliament Committee for Foreign Affairs. This meeting was considered to have a special importance because it was the last one ahead of the European Parliament elections. “At the end of May, the Commission will present the progress report on the countries of the region (Western Balkans), plus Turkey. 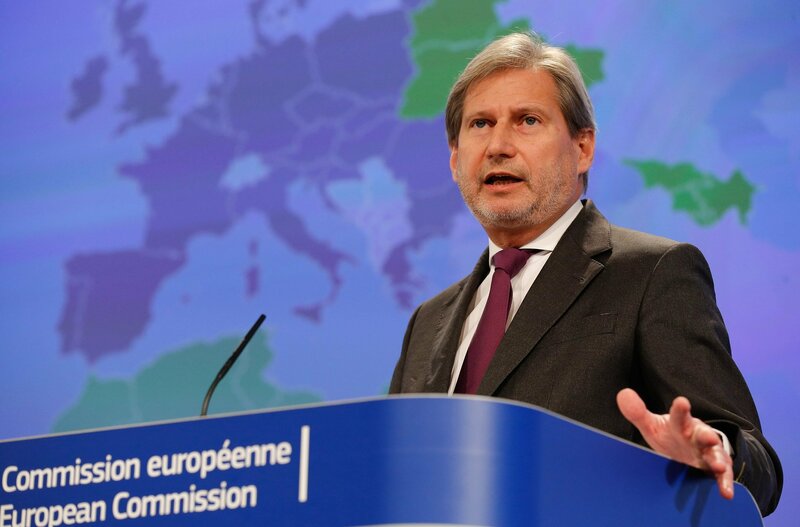 Based on what we’ve seen, I expect a positive recommendation for the opening of accession talks with North Macedonia and Albania”, declared Hahn, adding that “the European Union must focus on the long term perspective of the candidate countries”. It seems that despite the recent aggravated political situation that Albania is going through, the European Commission believes that the progress that has been made so far is sustainable. “Important progress has been made in Western Balkans. Despite shortcomings, we have noticed important progress being made in the economy, rule of law and reconciliation process”, said EU Enlargement Commissioner. Speaking about the strategic importance that the region has, Hahn admitted that “we export or import instability in the Balkans”. “The reason for this is that the region is less economically developed than the European Union and it’s very important that economies of these countries grow in order to reduce these imbalances”, he added, concluding that investors should be encouraged to invest in these countries. “We must boost trade with them. There should be more companies and more branches in the Balkans”, Hahn stressed. “Problems in the Balkans are finally being solved through dialogue. Every time there’s a gridlock, respective leaders hold talks. However, several years ago this was unimaginable”. This was another statement made yesterday by EU Enlargement Commissioner, Johannes Hahn about the region. On the other hand, he also said that “in order for Balkan countries not to distance themselves from their European perspective, the European Union should deliver on its obligations by rewarding the efforts made by each of the respective countries”.